Nice is a city in southern France located on the Mediterranean coast, between Marseille, France, and Genoa, Italy, with 347 060 inhabitants in the 2006 estimate. The city is a major tourist centre and a leading resort on the French Riviera (Côte d'Azur). It is the historical capital city of the County of Nice (Comté de Nice). The Promenade des Anglais ("Promenade of the English") is a celebrated promenade along the Baie des Anges, a bay of the Mediterranean, in Nice. Before Nice was urbanized, the coastline at Nice was just bordered by a deserted stretch of beach covered with large pebbles. The first houses were located on higher ground well away from the sea. Another place worth mentioning is the small street parallel to the Promenade des Anglais, leading from Nice's downtown, beginning at Place Masséna, and running parallel to the promenade in the direction of the airport for a short distance of about 4 blocks. This section of the city is referred to as the "Zone Pietonne", or "Pedestrian Zone". The banning of cars creates a more serene setting. Here tourists can find a fine selection of restaurants, specializing in both Niçoise cuisine and various types of foreign cuisine. There is also a large selection of cafés where one can sit and enjoy an espresso or choose from a variety of speciality coffees, gelati and desserts, and watch the city walk by. There are also plenty of small shops selling clothing, shoes and souvenirs. The Best Western Alba is a traditional Niçoise hotel situated in the centre of Nice, under one kilometre from the bars, restaurants and attractions of Old Nice. For those interested in sightseeing, high-speed Internet access is available for planning an itinerary and checking local information. The hotel's concierge will also be happy to advise and help with booking tours and making restaurant reservations. For guests' convenience, the hotel has a 24-hour front desk and a lift and dry cleaning and laundry services are also on offer. For business customers, a meeting room is available, and free parking is available nearby for those arriving by car. Numerous bars, restaurants, cafés, museums and attractions can be found in the immediate vicinity, with the Chagall Museum, Russian Church, Matisse Museum and Market all within one kilometre. 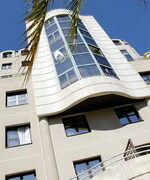 The Best Western Hotel Roosevelt is a modern townhouse hotel in central Nice, France. The historic Old Town, flower market and pedestrianised shopping area are within 300 metres. The beachfront Promenade des Anglais and Nice train station are one kilometre away. 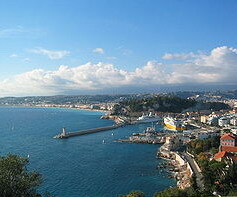 Nice Cote d'Azur Airport (NCE) is seven kilometres from the hotel. 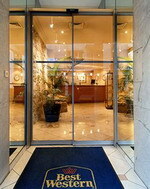 Best Western Hotel Roosevelt's concierge staff offer sightseeing advice, maps and guidebooks. A limousine service (surcharge) and airport transfers (surcharge) are available. The lobby offers complimentary newspapers and a dry cleaning service (surcharge may apply). The hotel serves a buffet breakfast (surcharge). Meeting rooms are available for small groups and there is complimentary wireless Internet access in public areas. 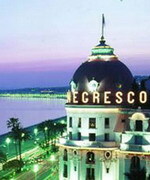 In Nice, France, the Hotel Negresco is within walking distance of major museums and the shopping district. The Musee Massena is next door to the hotel and shopping in Rue de France is two blocks away. Less than two kilometers from the hotel are the Opera House and Vieux Nice. Nice International Airport is six kilometers away. Built in 1912, the Hotel Negresco features original Salvador Dali paintings and ancient Japanese vases. Amenities include complimentary newspapers and safe-deposit boxes in the lobby. Le Relais bar is open from late morning and serves beverages only. Rotonde serves breakfasts, afternoon tea and cake and an a la carte menu. The Chantecler restaurant serves a la carte and set menus for lunches and dinners daily. Tasting portions are available. The hotel includes a small fitness room. Complimentary Internet access is available. The modern Radisson SAS Hotel, Nice is located on the seafront Promenade des Anglais in Nice, France. The beach is across the road from the hotel and the Jakovsky Art Museum is one block away. Port of Nice and the Old Town are within four kilometres. The Radisson SAS Hotel's lobby has marble floors and marble- panelled walls. There are sea views through large windows. The hotel has a roof terrace and a rooftop swimming pool (not heated - open late spring until autumn. The Bleu Citron restaurant serves Provencal specialities for lunch and dinner from October to April. The restaurant overlooks the Promenade des Anglais and serves a buffet breakfast throughout the year. In summer, guests can enjoy Mediterranean cuisine, fresh fish and salads in the rooftop Terrace Restaurant. Cocktails, soft drinks and coffees are on offer in the Poolside Bar and Lounge, also open in the summer. 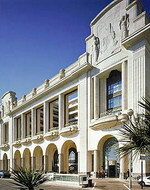 Palais de la Mediterranee is a late 1920s building set on Nice's famous Promenade des Anglais on the seafront. The decor reflects Art Deco design and the French Riviera's gambling casino culture, with its pillars and ornate glass decoration. Hotel guests can lounge on the 300 square foot solarium around the large outdoor heated pool, enjoy a cardio workout in the fitness room, and indulge in a cleansing Turkish bath or sauna. Located on the third floor with impressive sea views from the outdoor terrace, the Le Padouk restaurant offers modern Mediterranean dishes for lunch and dinner in a dramatic dining room decorated in orange and black, with Art Deco touches. After dinner, guests can enjoy drinks and cocktails alongside live piano music in the bar, decorated in dark wood and sultry deep red. Egyptian art and French 1930s decor are evident in the design of the slot machine and gaming rooms in the third floor casino, while the ballroom follows a Venetian theme. Residence Nice Fleurs is located in a peaceful residential district in the centre of Nice, on the French Riviera, 400 meters from the Promenade des Anglais and the beaches of the Mediterranean Sea. There are 88 studios and apartments, capable of accommodating up to four people. Each has a neutral décor with modern furnishings and features a fully equipped kitchenette. In addition, all have private bathrooms and benefit from cable television and high-speed Internet access (surcharge applies). Towels and linen are provided and changed once a week. Residence Nice Fleurs, in the heart of beautiful Nice, is a building composed of two wings, one with three floors, the other with nine, creating a shelter for a large private garden and sunny terrace, where guests can relax after a busy day. 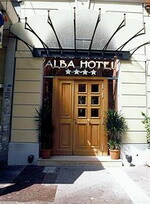 The hotel has a breakfast room and a bar and parking is available for 10 per day (50 per week).